Dawsons is delighted to be handling a beach hut at Rotherslade which is to go up for auction in June with a guide price of £20,000. It is situated on one of Gower’s most popular beaches and is just a shot walk away from Langland Bay, which itself is famous for its row of beach huts overlooking the beach. The timber-constructed hut is privately owned and it is rare that something like this comes on to the market. Chris Hope, Senior Partner at Dawsons, said: “Unique is a word that is overused, but this is a slice of history. The pitches in Langland started to be built in the 1860s, and were built up in the 1920s. “But they really came into their own in the 1950s, when families would go down to the beach huts to enjoy a day at the seaside. “I can’t remember the last time one of these came onto the market, and I believe the owner has no family to pass it down to. “I am sure there will be interest from all over the UK, with perhaps the greatest interest from people living in or with a connection to Swansea or South Wales. 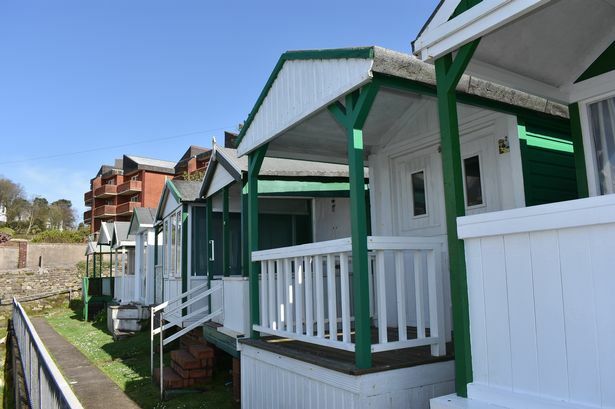 The beach hut will go under the hammer at Dawsons’ next auction at the Marriott Hotel, Swansea on Wednesday, June 13.